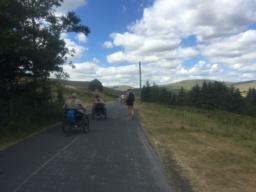 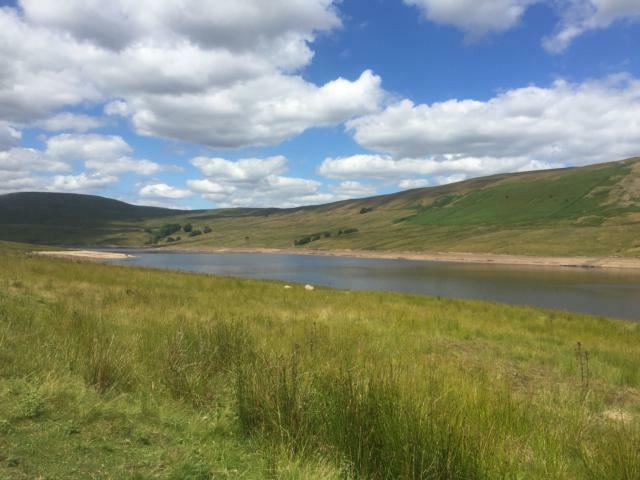 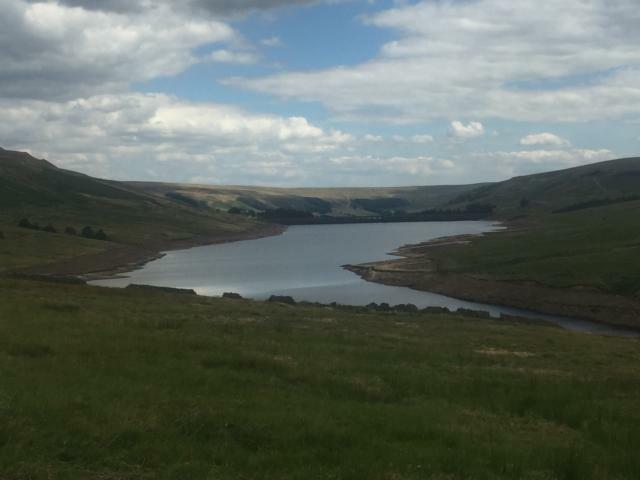 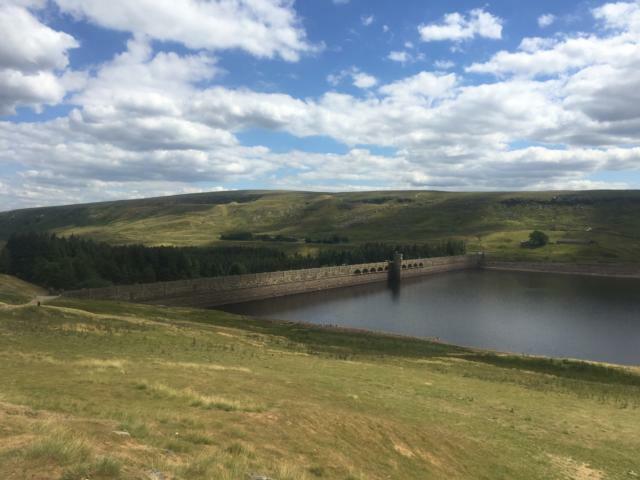 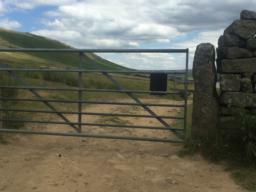 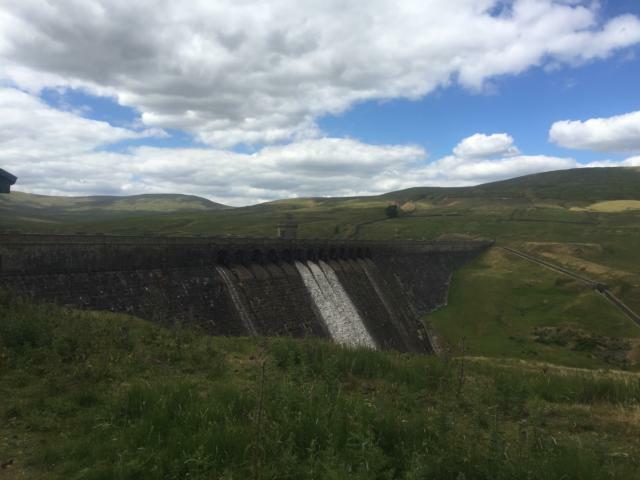 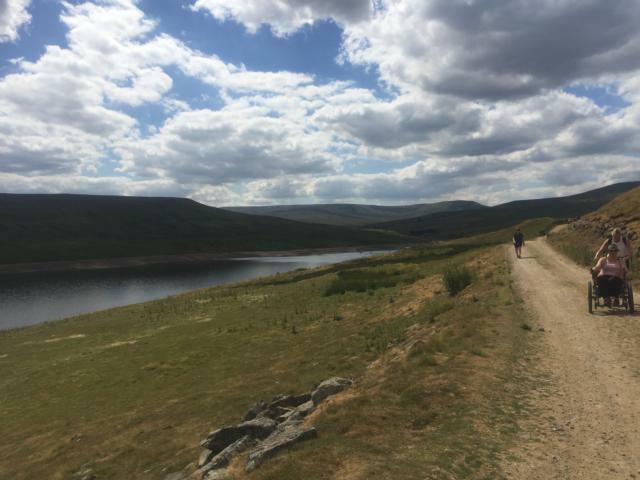 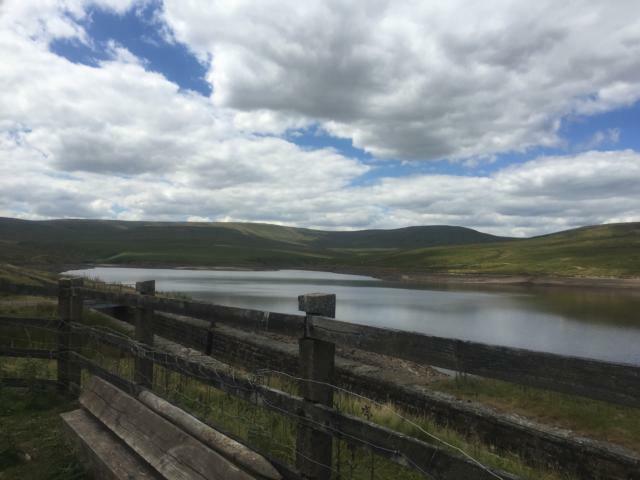 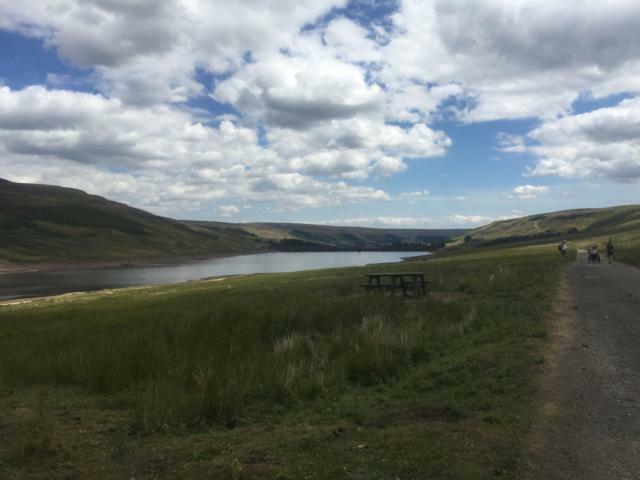 This is a route around Yorkshire Water's Scar House Reservoir. 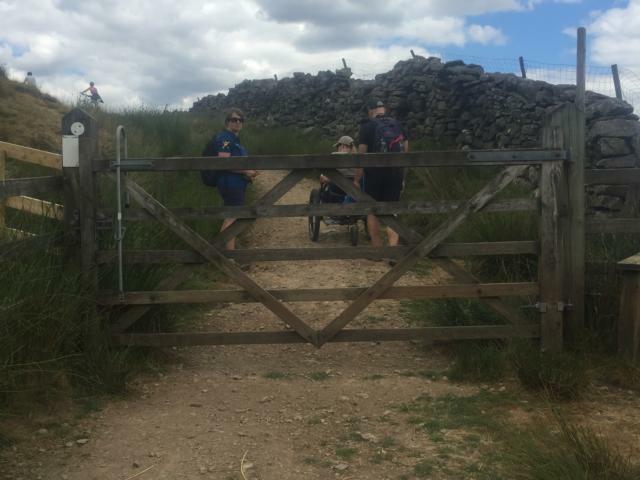 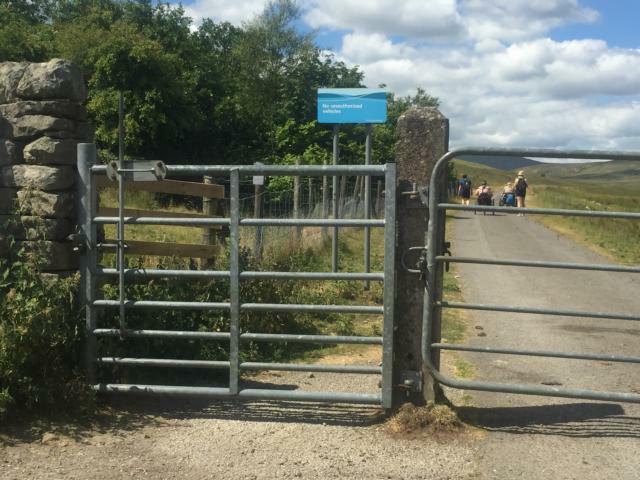 Barriers: There are some gates, steep slopes and uneven surfaces. 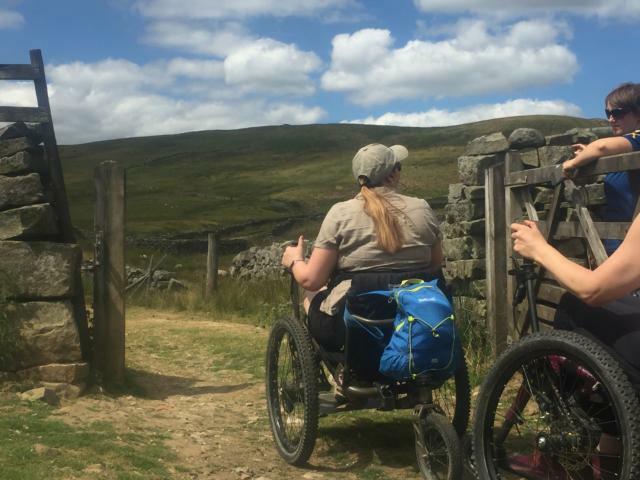 Toilets: There are accessible toilets at the café. 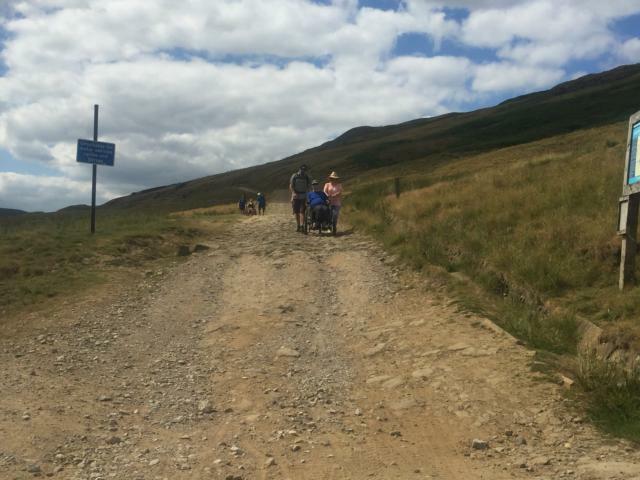 The trails starts on a good tarmac surfaced access road. 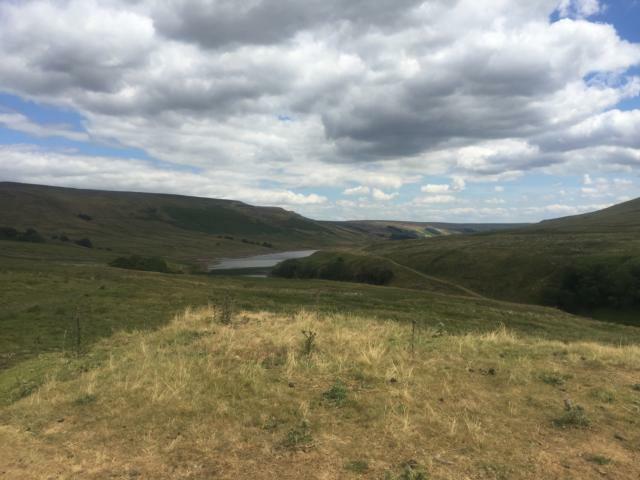 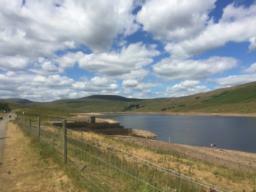 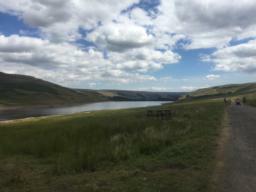 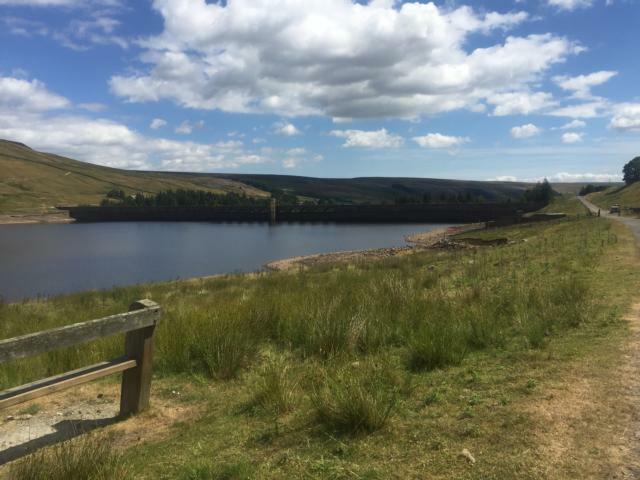 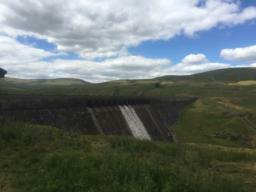 There are great views over Scar House Reservoir from the main track. 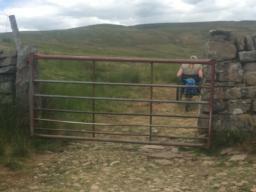 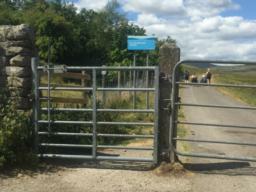 There are some gates on the route, this gate opens towards the user. 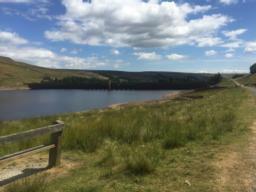 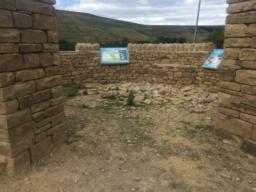 A bench on the well surfaced track with views over Scar House Reservoir towards the dam wall. 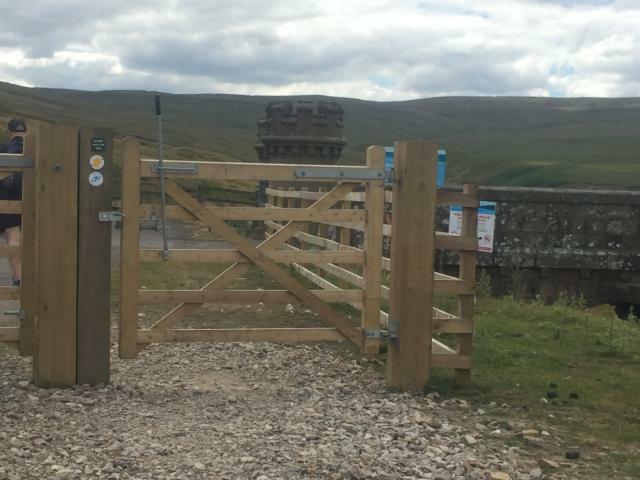 A gate which opens both directions. 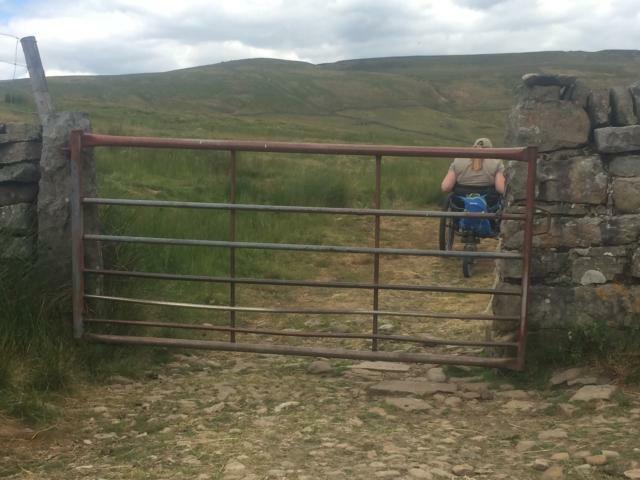 After Angram Dam wall the trail surface becomes rougher and steeper. 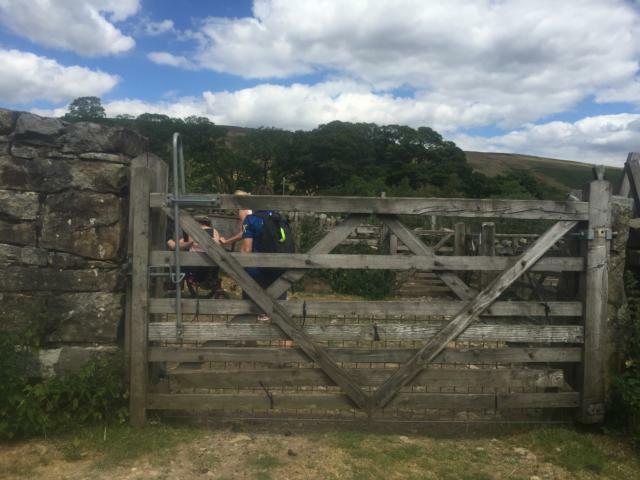 A wooden field gate that opens towards the user and steep, rough track surface. A metal field gate that opens towards the user. At the time of recording the gate was damaged and hard to open. A metal field gate with a rough track surface. A steep rough path descends back to the dam wall where it rejoins a well surfaced road back to the car park.